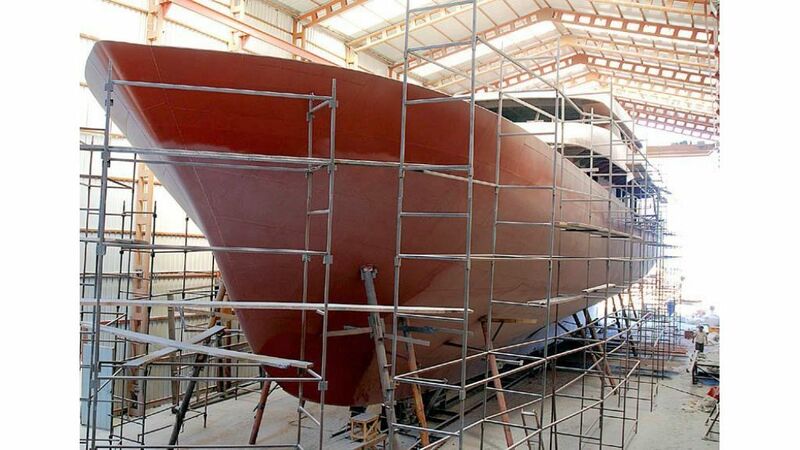 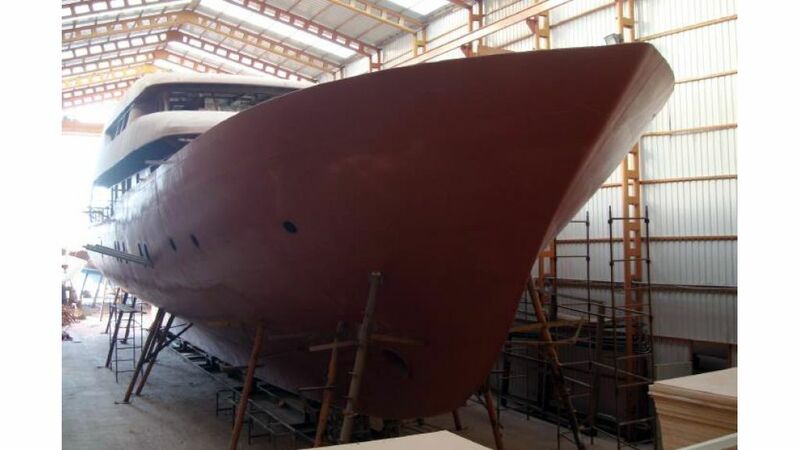 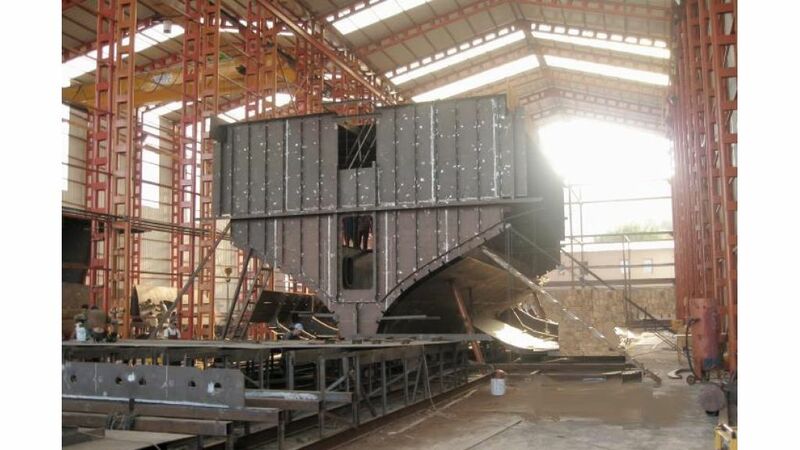 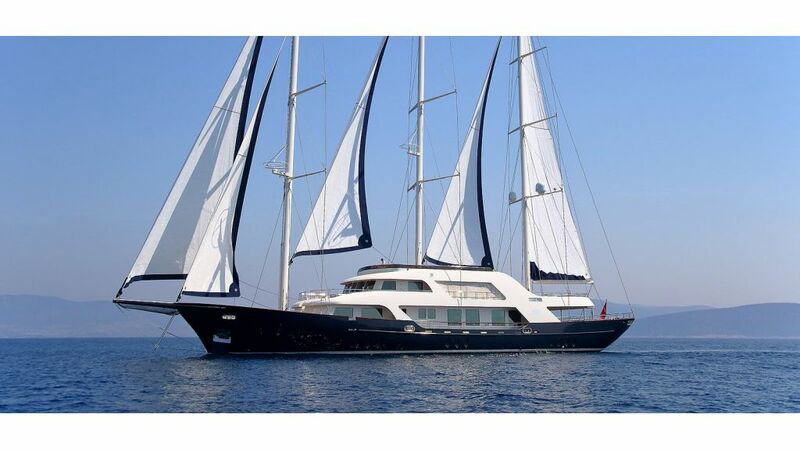 This 50 meter luxury sailing boat is an exceptional neo-classic design in which to Cruise the world with remarkable space and wide selection of amenities. 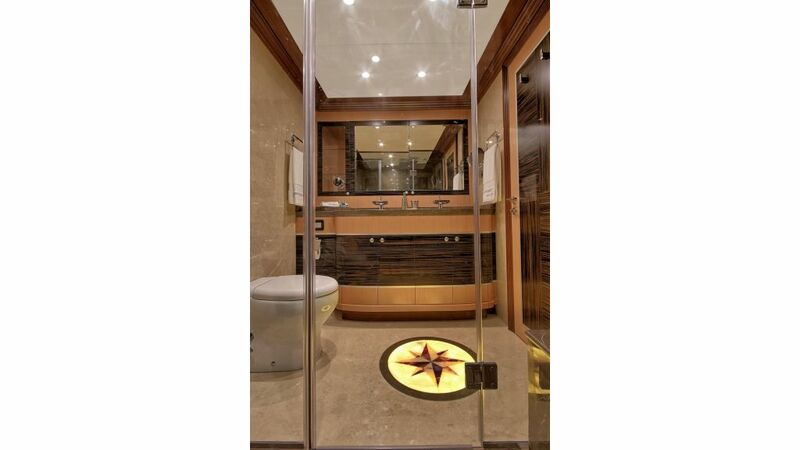 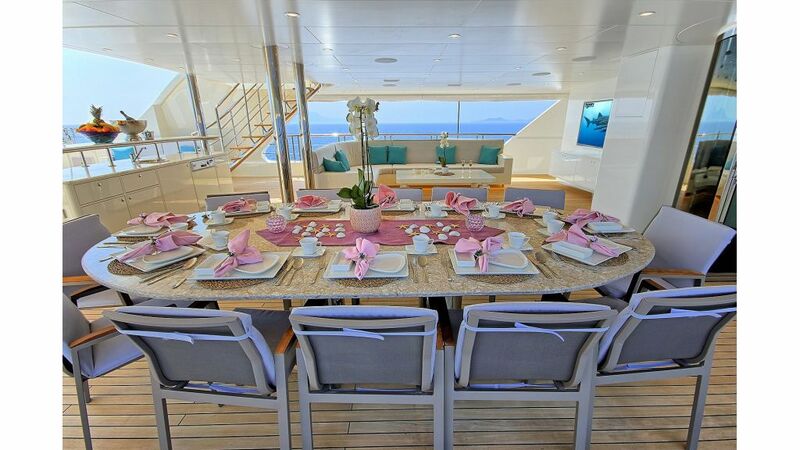 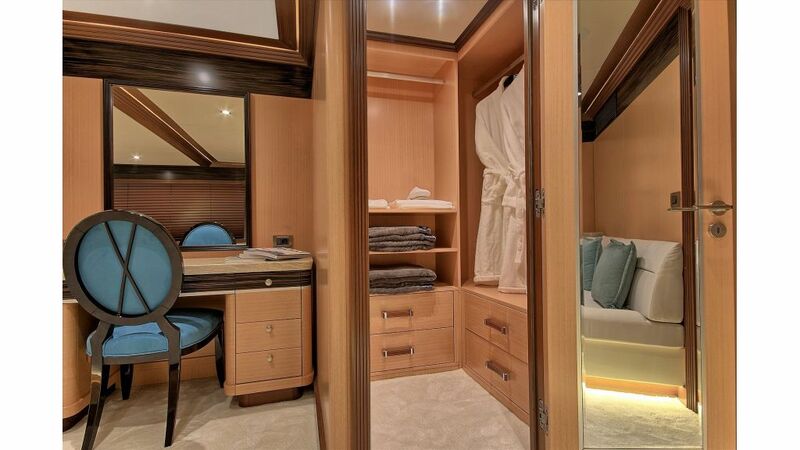 She is available up to twelve guests in six luxurious cabins. 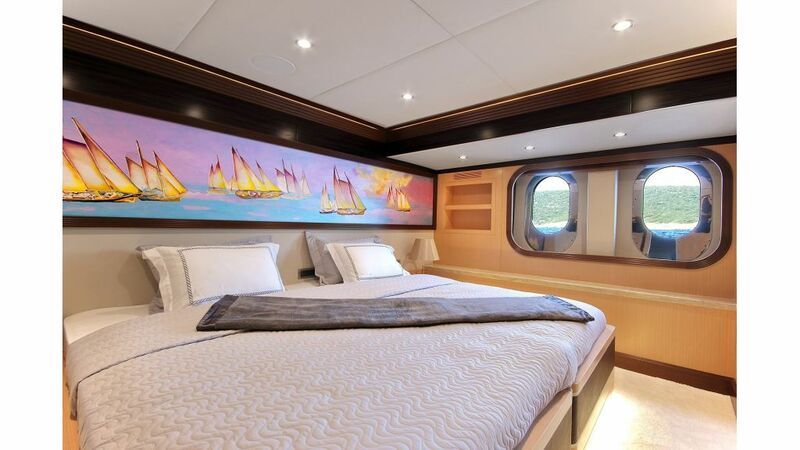 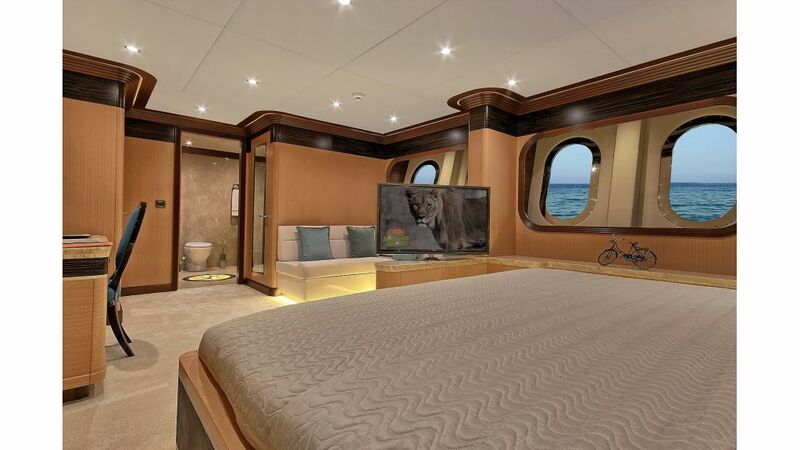 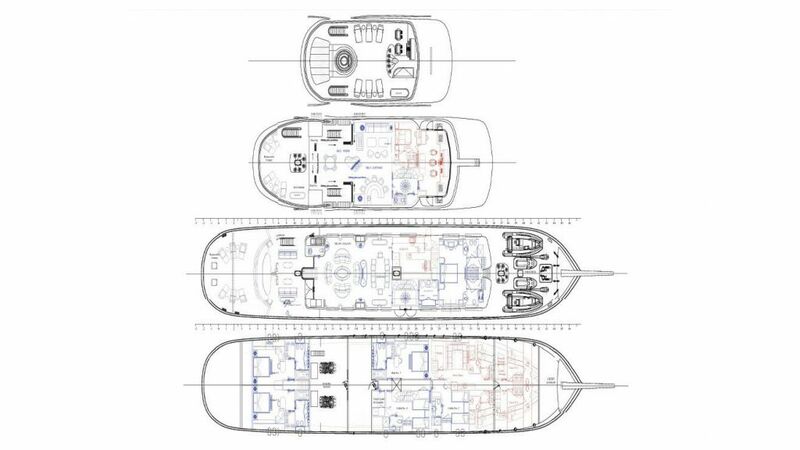 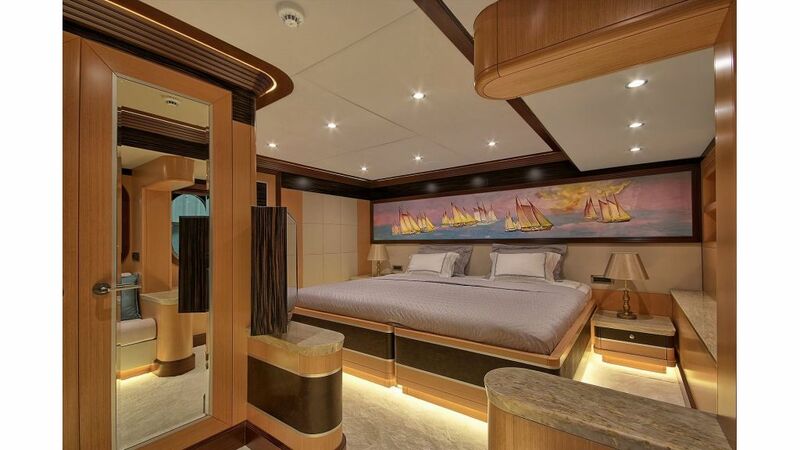 One large master cabin on main deck has king size bed, three large double-bed vip cabins and two large cabins with twin beds which can be used as one large double bed or two seperate beds of which one is single bed (100 cmx 200 cm) and other is double bed (130cmx200cm). 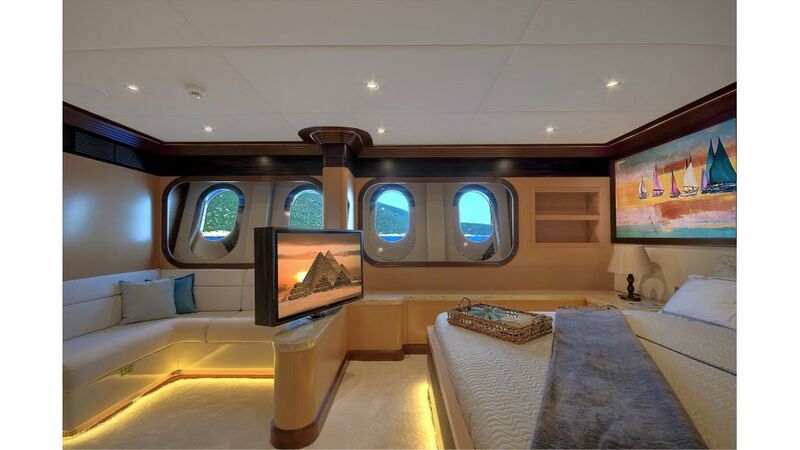 All cabins have automation and entertaintment system, which allows to control air condition, curtains, lights and entertainment system. 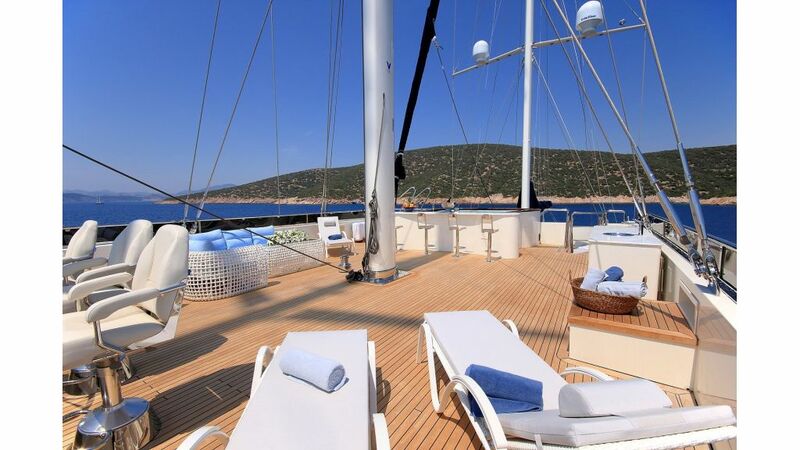 Her outdoor areas are perfectly equipped for relaxation and entertainment while at sea, in particular the large salon on main deck with dining place and sofas, four sunbathing areas, one pool on flybridge deck and very large comfortable sky lounge with bar, sofas and dining place. 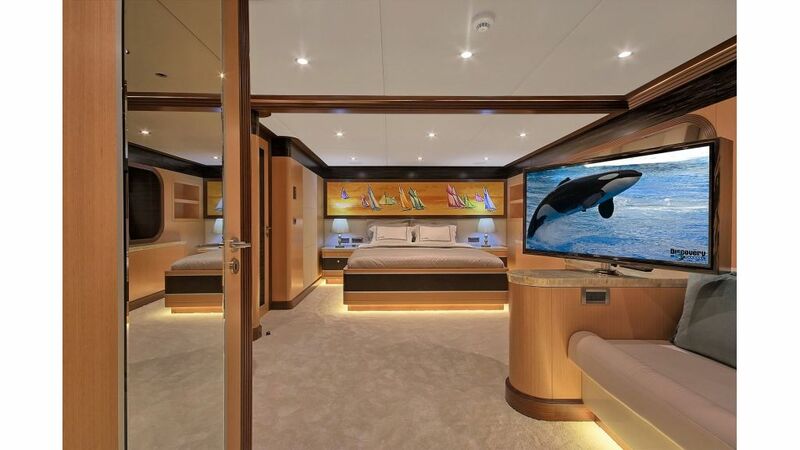 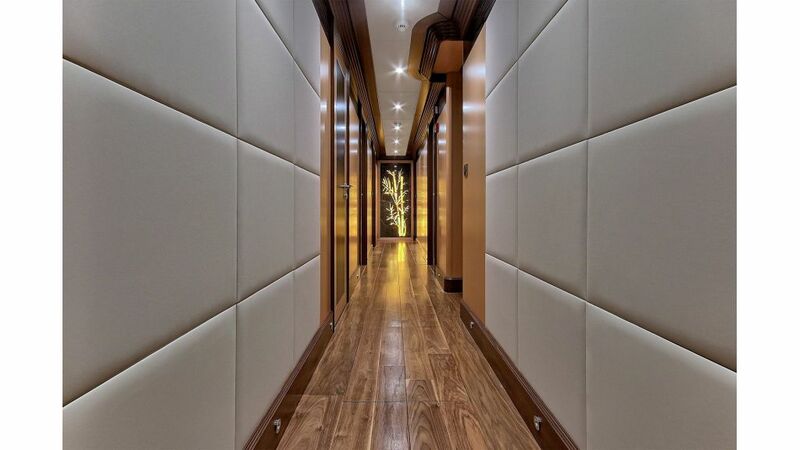 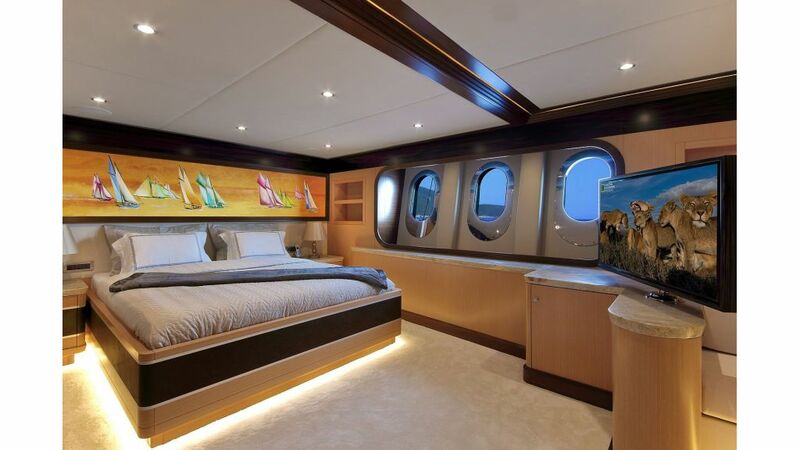 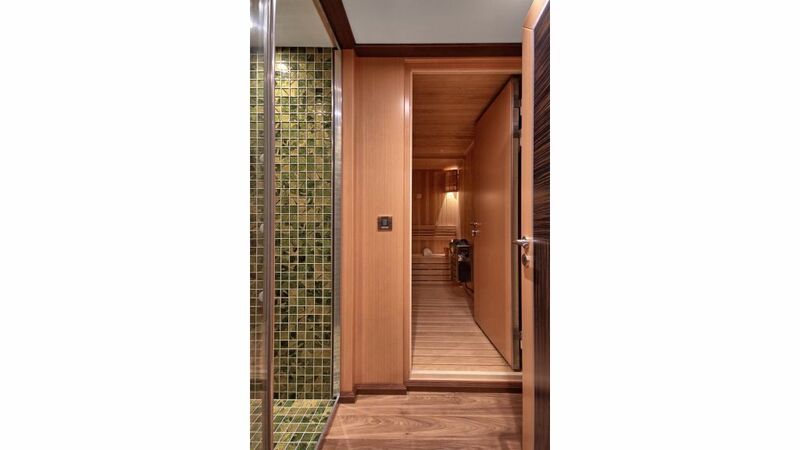 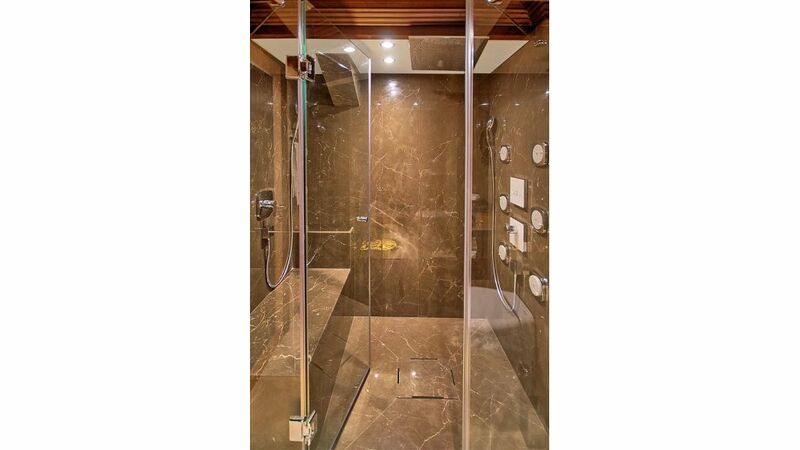 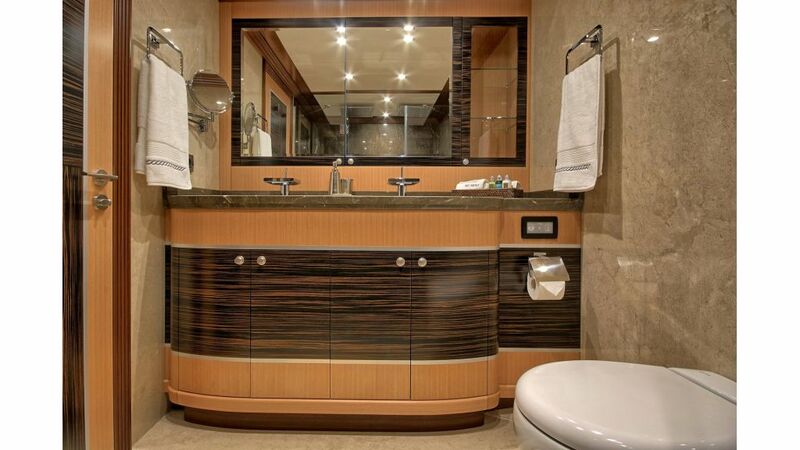 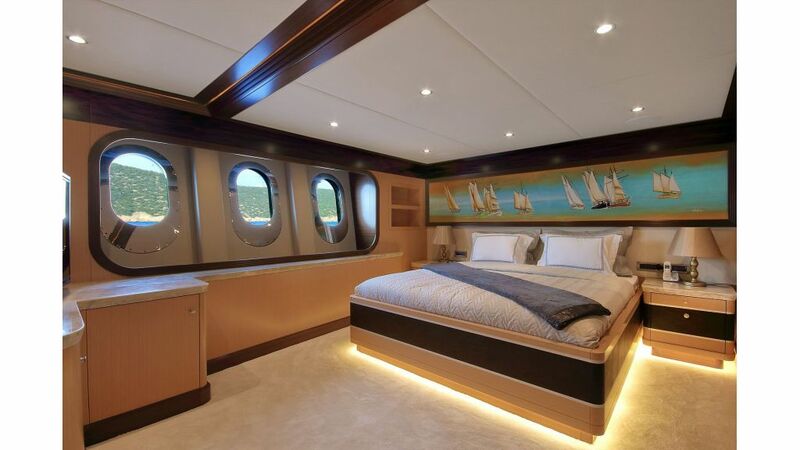 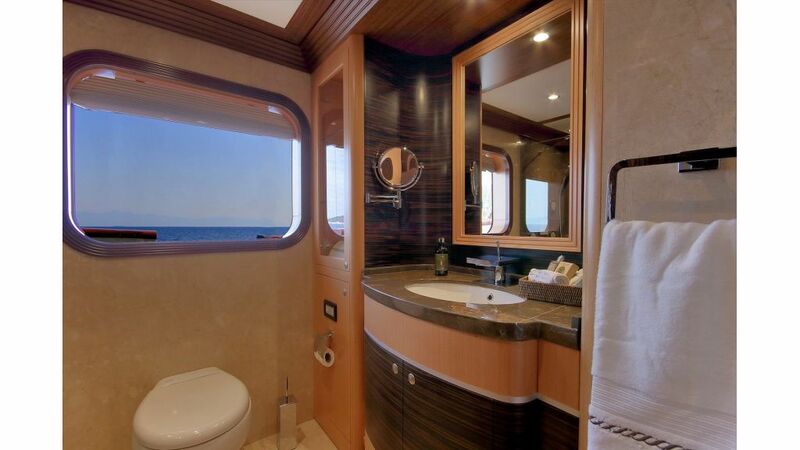 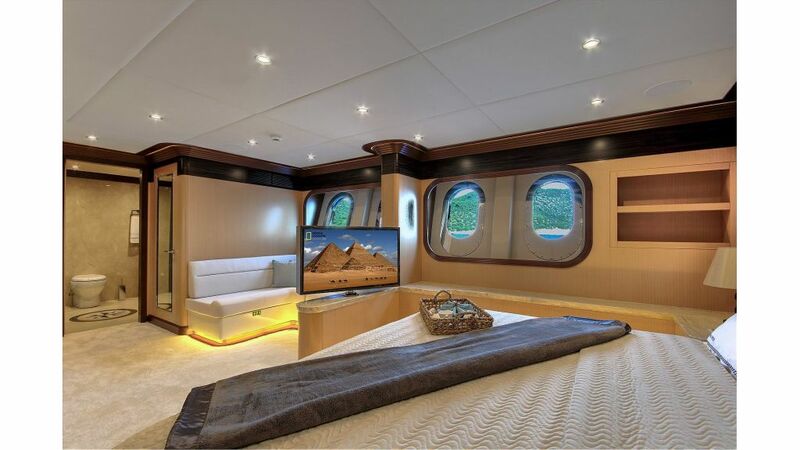 She also has one massage room and one sauna to afford very relaxing time to guests on board. 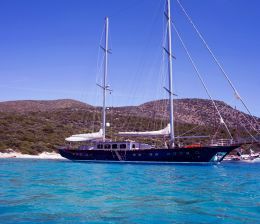 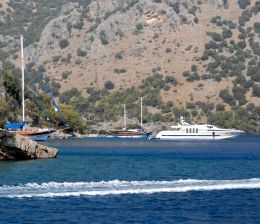 54 meters LOA and 6 cabins gulet offers, exceptional space above and below decks for 12 guests. 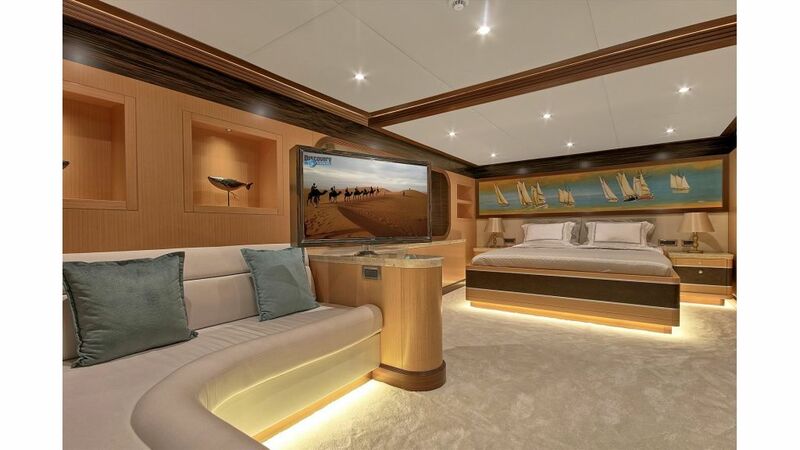 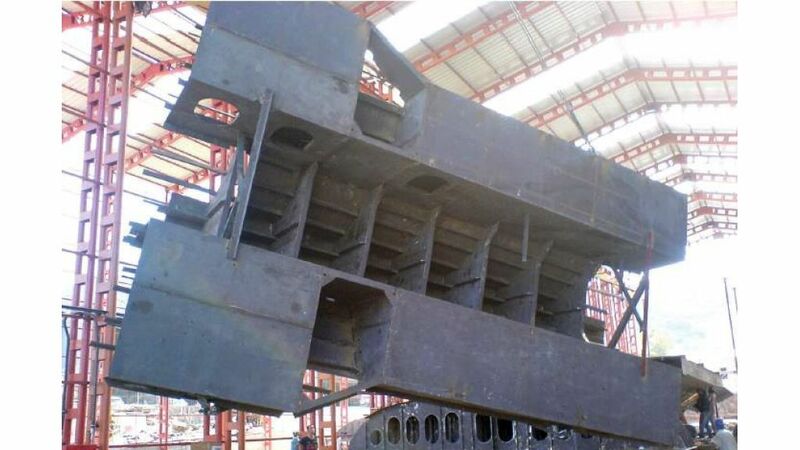 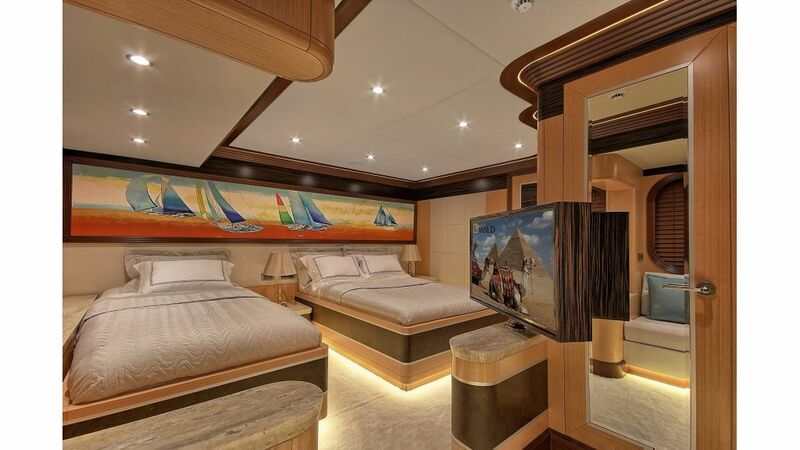 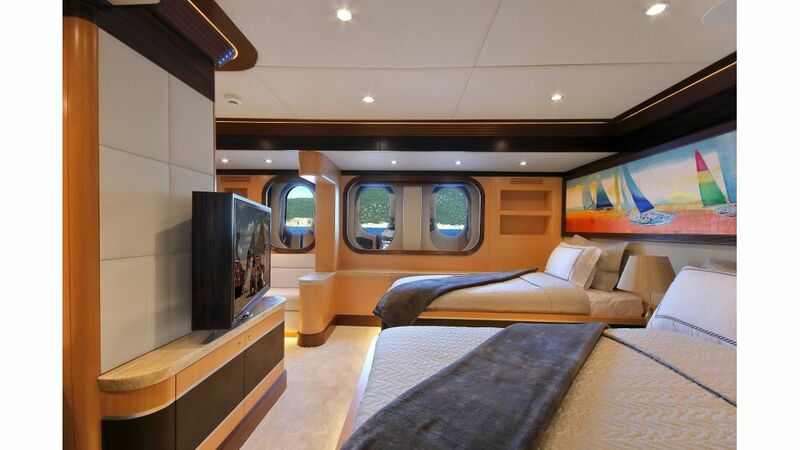 1 Large master cabin on main deck has king size bed, 3 large vip cabins have double beds and 2 large cabin have twin beds, which can be used as one large double bed or two seperated large single beds. 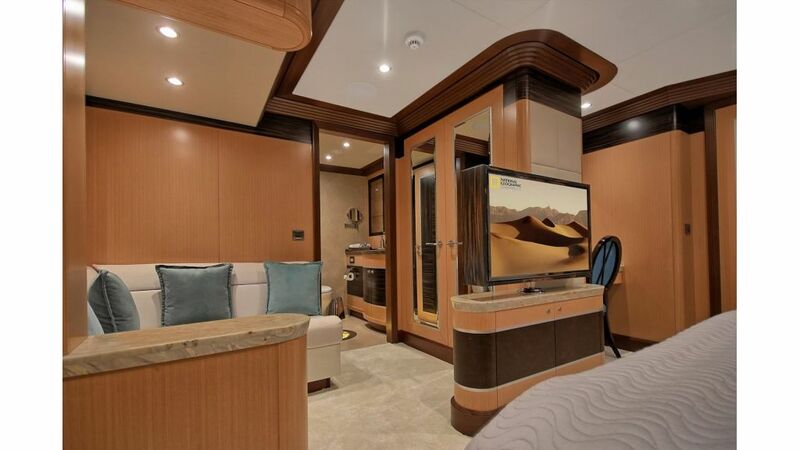 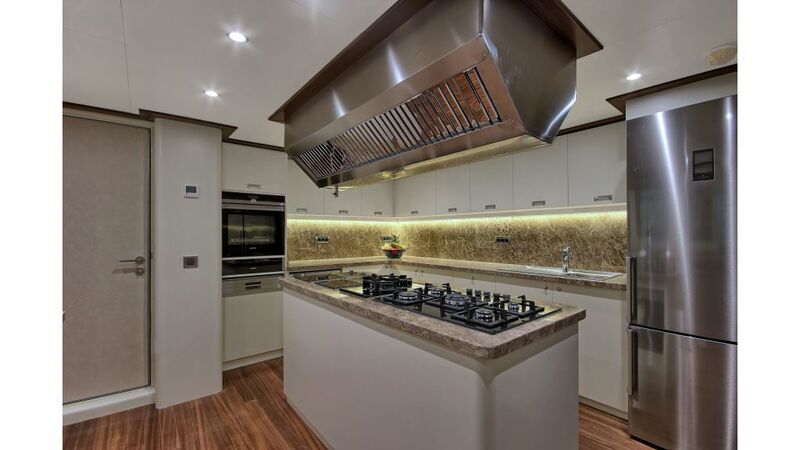 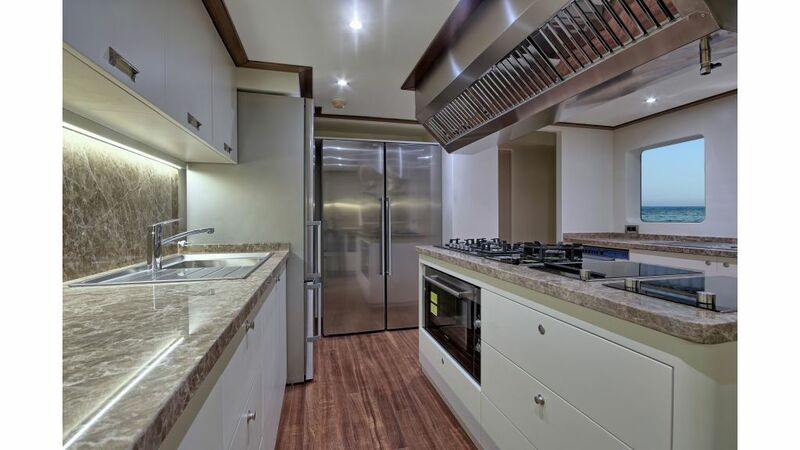 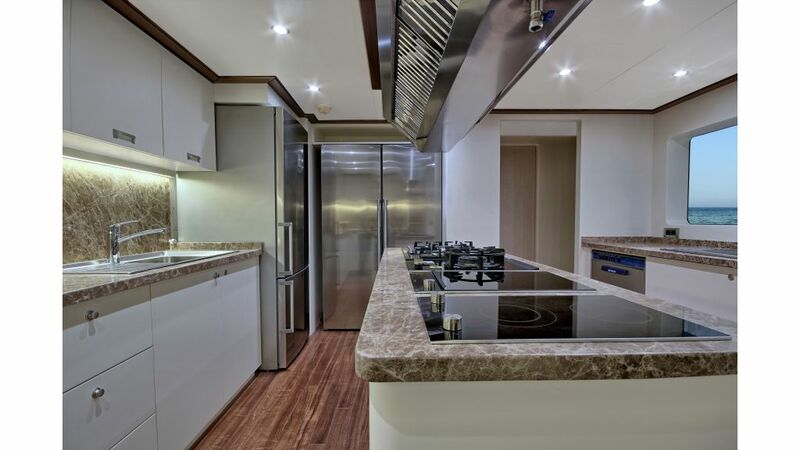 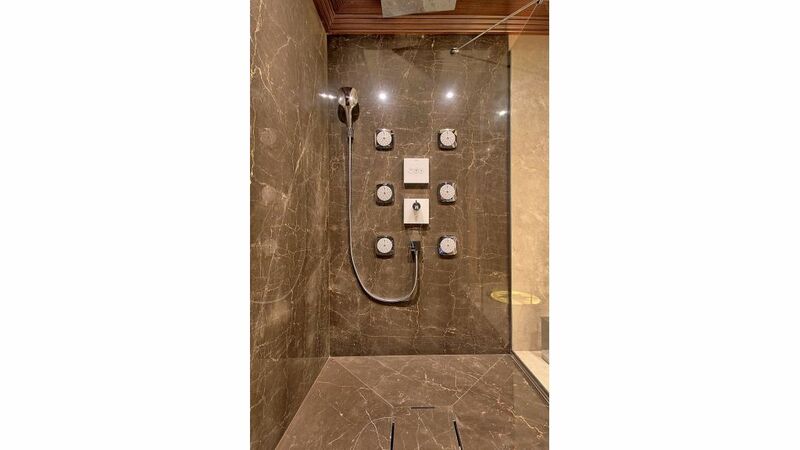 All the Cabins have home automation system, can be controlled air condition, curtains, lights, entertainment system. 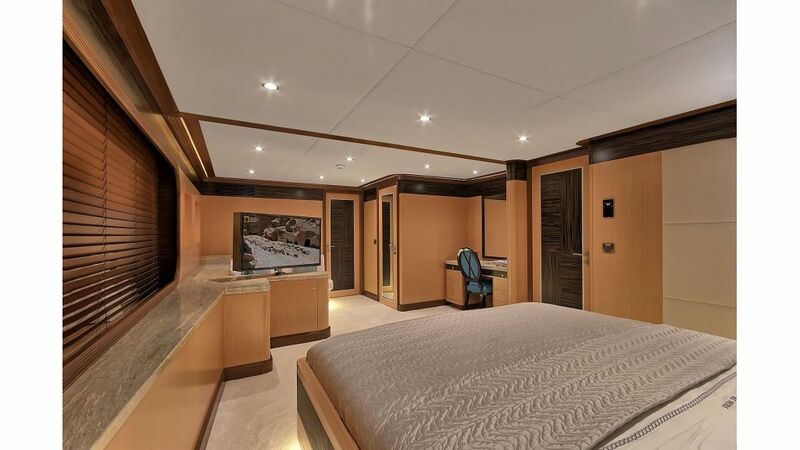 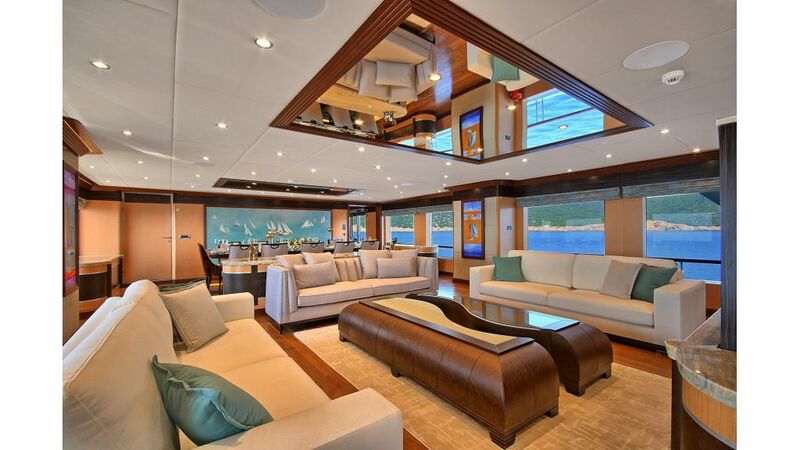 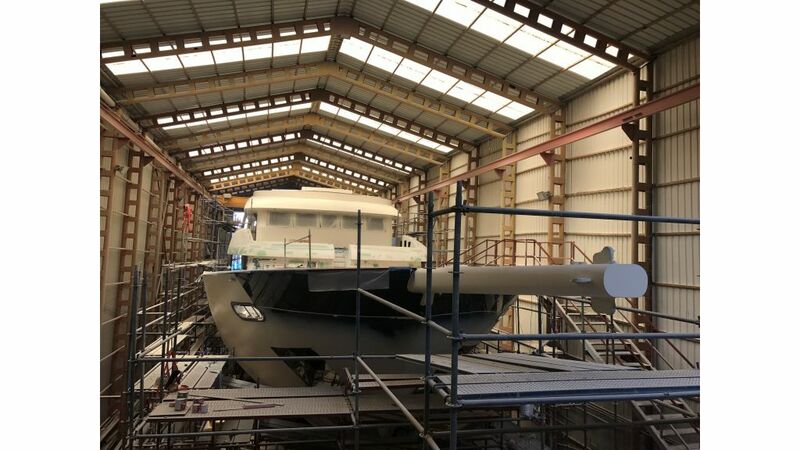 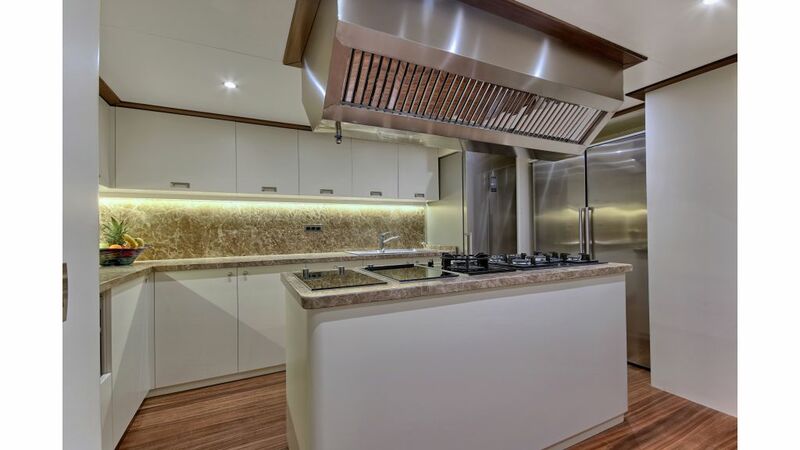 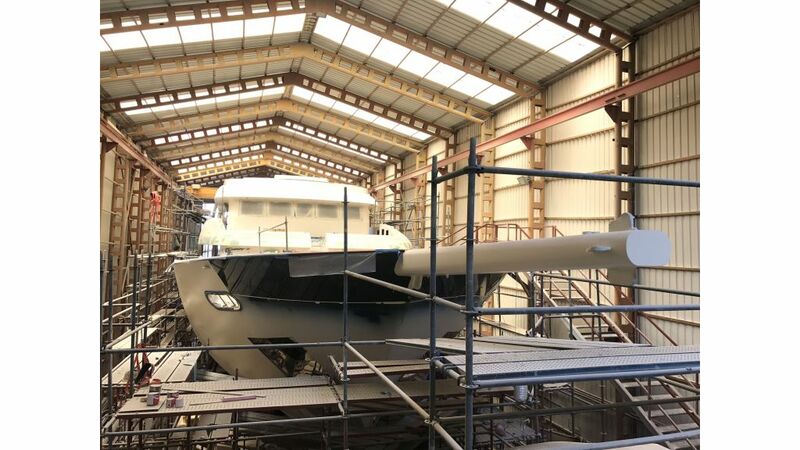 She has 1 large saloon on main deck with dining place and sofas, 4 sunbathing areas, 1 pool on flybridge deck and very large comfortable sky lounge with bar, sofas and dining place. 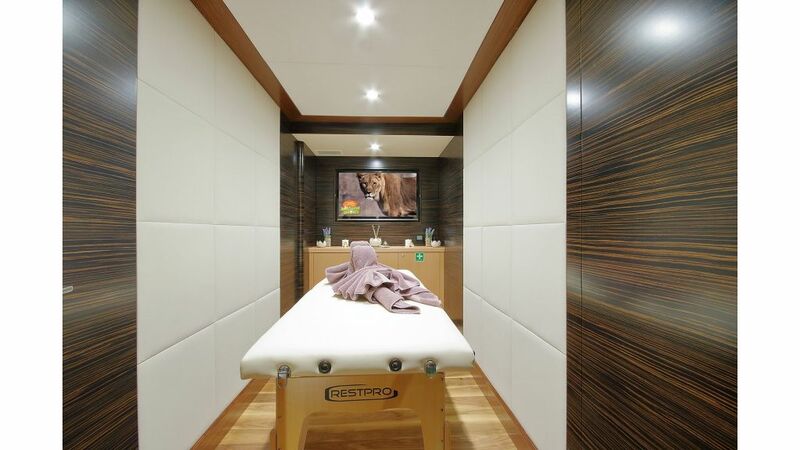 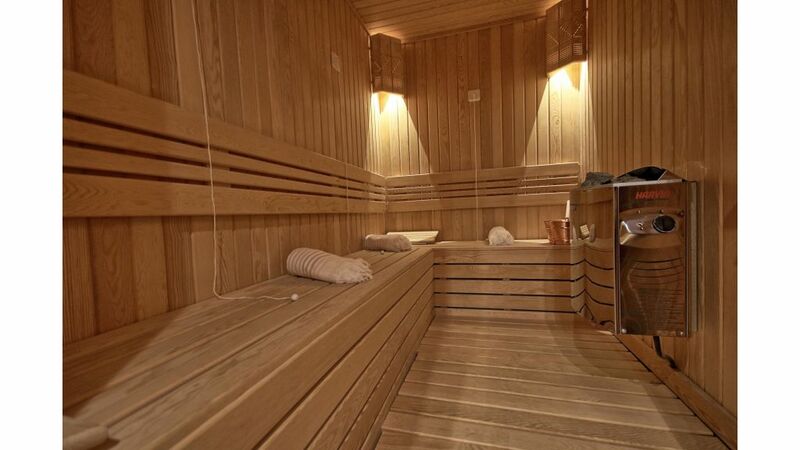 She has also 1 massage room and 1 sauna to offer her Vip clients a very relaxing time on board.